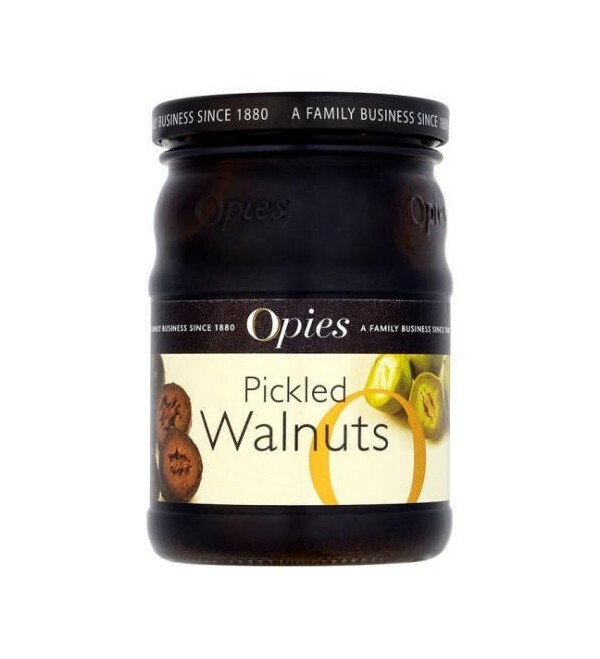 Opies Pickled Walnuts are harvested before shell formation, cooked and marinated in a special malt vinegar recipe to bring out the qualities of the pickle. 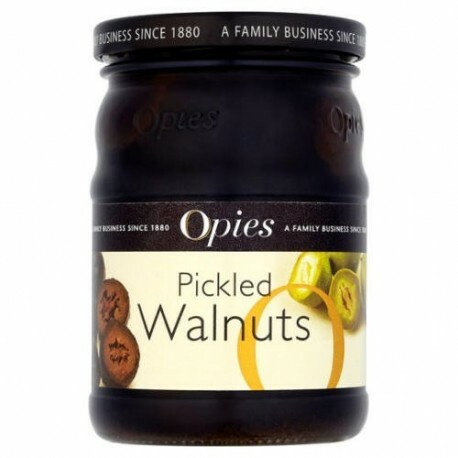 Opies Pickled Walnuts are harvested before shell formation, cooked and marinated in a special malt vinegar recipe to bring out the qualities of the pickle. A traditional accompaniment to cheeses, cold meats and salads. Also as a delicious ingredient whole, diced or sliced in meat, pasta, poultry and game dishes.